OK, can we talk? I’ve been practicing dentistry for over 35 years now, and it is not that unusual for a patient to see me for a second opinion regarding their dental treatment. Many times these patients are unhappy with prior treatments and are seeking help and a solution. How can I tell if a patient is unhappy? This may sound overly simple, but the happy patients got what they wanted and the unhappy patients didn’t. Dental treatment is a lot like many things in life – it is very hard to get where you are going or be happy with your results if you don’t have a firm destination in mind, and especially if you didn’t know what to expect when you started. Did you know how long the treatment would take? Did you really expect ‘teeth in a day?’ Did you know how long you would need to wear temporary teeth or what they would be like? Did anyone tell you what you would be able to eat with your new teeth and how difficult they’d be to clean? All of these, and many more, questions should be answered long before you start any dental treatment to make sure you know exactly what to expect. So, when you are thinking about major dental work, please do your homework first and pick the right dentist. As an example, you would never just go to any hair salon before your big wedding. You would, of course, go to ‘Mary’ at the hair salon. If by chance ‘Mary’ happened to move two weeks before the big event, you would follow ‘Mary’ because you trust her. You know what you’re getting with her, and that’s comforting. Dentists are very much the same. We all have our own unique experiences, training, and preferences. Before you schedule any dental work, make sure you search for the ‘Mary’ of dentistry. Start by checking out reviews online before you make an appointment. It’s amazing what you can learn from online reviews and from hearing other peoples’ experiences. As an example, I was just headed out for a new refrigerator and the one that I wanted had great reviews from Consumer Reports and terrible reviews from customers. I didn’t buy it. Also, second opinions are always a good idea. You can never have too much information. I know that this can sound a little overwhelming, but I have also found that patients are all different. Some patients want lots of detail and lots of information while others just need a ‘good feeling’ about the dentist and the office before they trust the process. The right dentist will understand this and you will get what you need. When you find the right place, you will know it. Whether you are upgrading your dentures to implant supported teeth, or finally getting the beautiful smile that you always wanted, or it’s just time to properly rebuild your teeth – take your time and choose with care. The first person to work on you will set the tone for the rest of your treatment. Incorrect first steps waste money and time and can actually make it difficult to reach the result that you were hoping for. Again, you are not the first person to do whatever it is that you are doing. The right office should be able to clearly present treatment options to you so that you are comfortable and your decisions are easy. As a patient, you are never going to learn enough. At some point in the process, you are going to need to trust someone to look out for you. You have a lifetime worth of experiences in learning who to trust. Use it wisely. 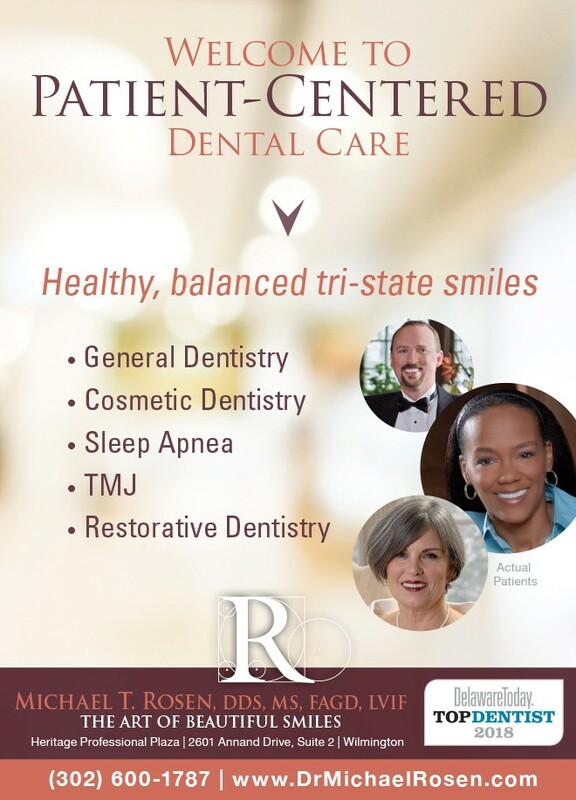 Dr. Rosen is a graduate of Emory University School of Dentistry and the Wilmington Medical Center General Practice Residency. He is a Fellow of the Academy of General Dentistry and also a Fellow from the world-renowned Las Vegas Institute for Advanced Dental Studies. Dr. Rosen will always be a lifelong student and teacher of dentistry.